Britain's broadband farce just keeps getting better and better, with London's Silicon Valley rival Tech City becoming its latest victim. Tech start ups – many aspiring to be the next Google or Facebook – can't get decent broadband connections without being forced to pay out thousands of pounds, it has emerged. That has led to some of the UK's most innovative companies leaving the area. Others have complained their attempts to move into offices in the area have been delayed due to the lack of affordable fibre broadband. Currently, the only way to get fibre-like speeds in areas without fibre is to take out what is known as a lease line. However, these can cost thousands of pounds to have installed and hundreds of pounds a month for the service itself. One company that has suffered problems with getting a fibre broadband connection is affiliate marketing service Skimlinks. It moved to the Old Street area in 2013, but it took five months for its new office to be connected to fibre broadband. “After mixups with council addresses, wiring and hardware deliveries the SDSL (slow backup) lines were finally active one week after our move,” said chief technology officer Richard Johnson told The Guardian. “During this time we attempted to make-do with bonded 4G dongles, so most people worked from home. Our fibre was active on 4 March 2014, having given the go-ahead to move on 11 October 2013. “Five months without fibre for an internet-based organisation is difficult to swallow. Our old office was vacated and demolished in the time it took to get fibre connected,” said Johnson. The situation has led Labour MP Meg Hillier to describe the problem as “a national farce” in an interview with the Hackney Gazette. She said some companies could not get decent broadband connections, despite the availability of grants worth up to £3,000. She called for a “comprehensive review of broadband, plans for infrastructure and roll out and a competitive framework for delivery”. The issue isn't limited to London. Up and down the country, there are hundreds of business parks and office districts where there aren't plans to roll out fibre broadband. “If the government is serious about nurturing small businesses and start ups, then it needs to do more to force ISPs to introduce fibre broadband to areas that are predominately businesses,” Tom Morton, managing director of 127 Solutions told T3. The majority of 127 Solution's customers are small businesses, many of whom can't afford leased lines. Morton explained one customer was recently quoted more than £2,000 for an install and just under £300 a month for a download speed of 10Mbps. Another provider quoted the same customer more than £4,500 for the same install. In stark contrast, a business in a fibre enabled area can get speeds of up to 38Mbps with free installation for less than £50 a month. In Runcorn, Cheshire where 127 Solutions is based, 9/10 residential customers can or will be able to get fibre broadband on a BT-based line by the end of this year. However, the town's two major hubs of technology businesses – The Heath and Daresbury Sci-Tech – don't have a date for when fibre will be enabled. Morton isn't the only one calling for the government to get involved. Paul King, chairman of Perseverance Works – a co-operative of technology businesses in London's Tech City – says the government needs to get involved. King said that the government's voucher scheme isn't enough. 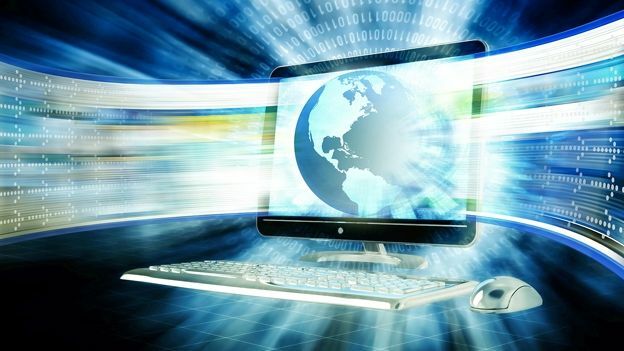 It provides a grant of up to £3,000 to help get businesses connected to super-fast broadband. But with lease-line installs costing more than that in some cases, it's not hard to see why business owners don't feel it is enough.